Welcome to Alpine 6! 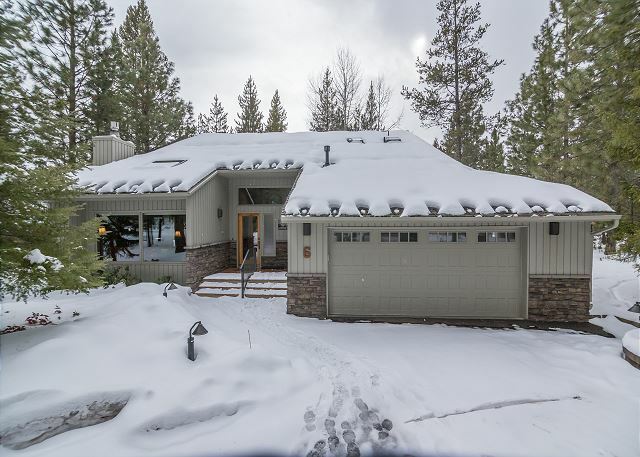 This premier Sunriver vacation property includes five bedrooms and three bathrooms. There are two bedrooms downstairs. One is a master with a king bed plus TV/DVD. The second is a queen room with a TV/DVD. There is also another full bath down stairs. Both of the bathrooms have showers (not tubs). There are 3 bedrooms upstairs. One has a king bed, one has a queen and one has a twin double bunk bed plus a twin bed. All of these rooms have TVs/’DVDs. Perfect for your entire group, in addition to full bedrooms, this home also includes an air bed and a queen futon, providing additional sleeping space. The home includes many upgrades, making it a comfortable destination for your group. Alpine 6 includes Air Conditioning, a heavily requested feature of Sunriver homes during the summer months. 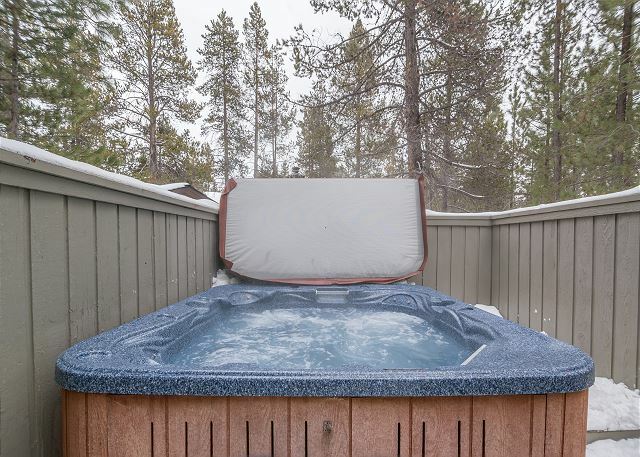 The home also includes a private hot tub, which guests love. Alpine 6 includes 14 Bikes to enjoy on the 30 miles of paved biking trails. 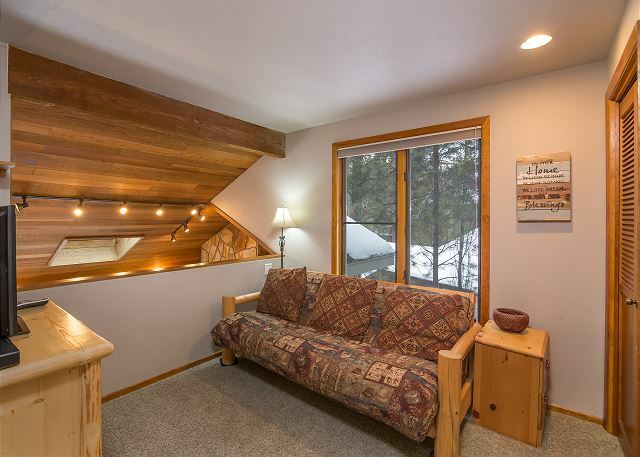 Enjoy all that Sunriver has to offer when you stay at Alpine 6. 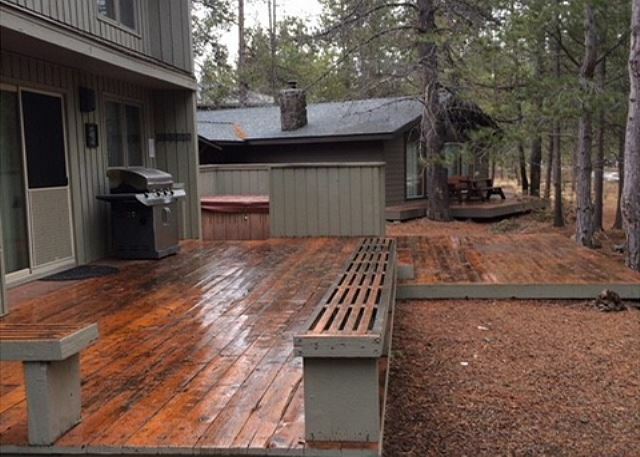 We look forward to welcoming you home to our Sunriver vacation rental near Fort Rock Park. 2 level home, 2 king beds, 2 queen beds, 1 twin double bunk bed, 1 twin bed, 1 queen futon, 1 port-a-crib, 3 bean bag chairs, 1 air bed, 1 large open deck,12 adult bikes, 4 kids bikes, 7 TVs, and 7 DVD Players, Gas FP, BBQ, W/D, D/W, extra refrigerator in garage, 2 car garage and room for 5 in driveway, private Hot Tub. A/C. Beautiful house with lots of bedrooms for our family and friends. Kitchen well stocked. Very clean and no odors. We left the house with beautiful memories. We forgot our wallet in the house and Emily was so nice to call us and let us know she'll mail it. Sure enough, two days later we received. Thank you so much for everything!!! Thank You for your 5 star Review, Dana! We love to hear when our guests have a fantastic time and make beautiful memories. Glad we were able to get your lost and found out to you promptly! Come back Soon! We had a wonderful time at #6. Air conditioning, good kitchen. Room for everybody on the deck with 2 meal tables. 16 bikes in the garage made everybody happy. The quick ride to Fort Rock Park was easy. The bike path and the road were a little close to the house, but it was not an issue if noise or safety during our stay. Thank You for the 5 star Review, Dan! So glad you had a wonderful time, come back soon! This house was the perfect size, layout and location for our multi-family vacation. 6 adults and 3 kids stayed comfortably at this house! Made great use of the hot tub, grill and board games! Thanks for the 5 star review, Beth! So glad to hear that you loved Al;pine 6 as much as we do! Come back soon!